UK internet users spend an average of 4.5 hours online each day and are active on 3-4 different social networks. 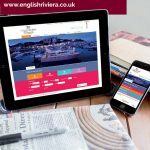 As such Social Media digital channels provide a major opportunity for the English Riviera BID Company to identify, target, reach and influence existing and new visitors. Instagram (owned by Facebook) alone has more than 18 million users.